Ellefson Coffee Company’s first ever brick and mortar store will hold its official grand opening this spring. The event will be held April 7 – 9. It comes almost three months after the store held its soft opening, which was held Jan. 10. The company is named after its founder, Megadeth bassist Dave Ellefson. The store is located in Ellefson’s hometown of Jackson, MN. Ellefson will be on hand for the grand opening. He will be joined by comedian and That Metal Show co-host Don Jamieson. Jameson said in a recent interview that he gladly accepted Ellefson’s request to appear at the event, while also praising the power of one of Ellefson Coffee Company’s select coffee lines. Ellefson was also excited for his store’s official hard opening. Some of the memorabilia on display at the store will include Dave’s Jackson High School marching band uniform to see, and items from other bands including Korn, Coal Chamber, Machine Head, and others. Along with memorabilia, the store will also offer products from Ellefson’s fledgling record label, EMP Label Group for sale and Ellefson Coffee Company products. Ellefson’s ECC partner Tom Hazaert stressed the new store, while already having been opened since January, will be a special place for coffee lovers and for Jackson, MN’s metal community for the foreseeable future. 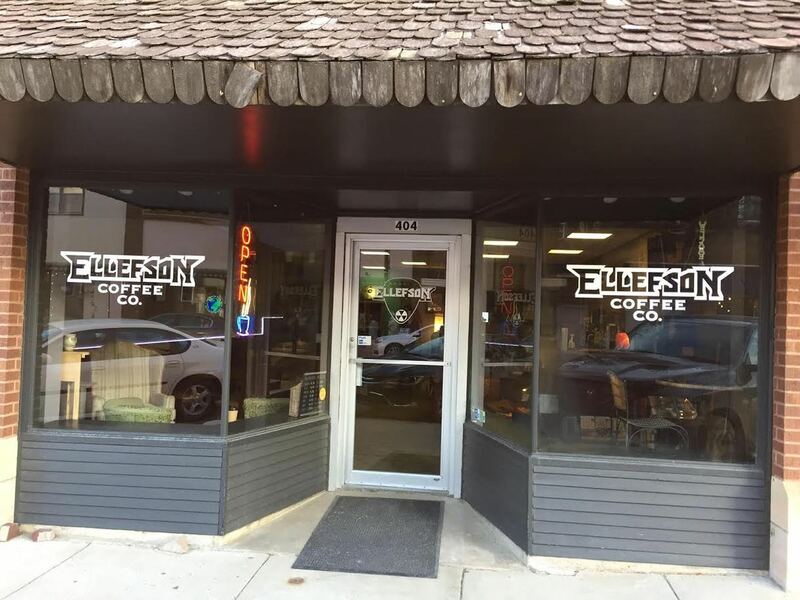 “Not only will Ellefson Coffee Company now have a permanent face in David’s hometown, but being able to tie in EMP, and everything else we do, and with the huge sense of Megadeth history in Jackson, we are excited to be able to create a really unique and amazing (and coffee) experience that we are sure will not only be a highlight for the people of Jackson, but a destination for Megadeth fans from around the world,” Hazaert said. As part of the store’s hard opening, author Adrian Lee will join Ellefson and company as they take visitors and customers on a haunted tour of nearby Loon Lake Cemetery. The cemetery is where one Mary Jane Terwilliger is said to be buried. According to legend, Terwilliger, born in 1862, was beheaded by residents of Petersburg, MN in 1881 after being accused of being a witch. However, research has debunked that myth, proving she in fact died at the age of 17 allegedly from diphtheria. Due to the myth surrounding Terwilliger and her death becoming so popular, she became the topic of the song ‘Mary Jane,’ which is included in the band’s 1988 album So Far, So Good…So What! Terwilliger’s headstone stands today at the Jackson County Historical Society office. This spring, Public Media Distribution and Smithsonian Channel will partner to release the first season of a new program for sports lovers everywhere. 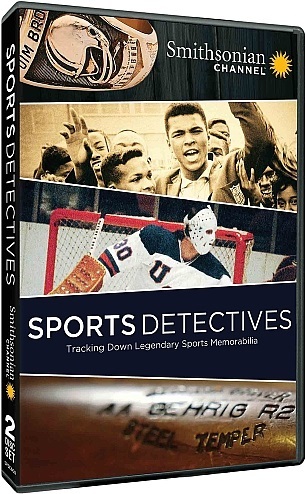 Sports Detectives: Season 1 will be released Tuesday, April 4 in stores and online. The program follows Kevin Barrows–former FBI agent, private investigator and security consultant–as he and CBS Sports Network personality Lauren Gardner as the pair hunt for key sports artifacts that have either been lost or claim to have been found. The duo makes its way across the country in its hunt and learn vital stories from different sports’ histories in the process. One of those stories is the real story behind the Kentucky Derby’s War Admiral Trophy. Another involves the alleged disappearance of Kirk Gibson’s walk-off home run ball from the 1988 World Series. The whereabouts of the “Immaculate Reception” football is investigated in this series, too among so many other stories. The Dead Daisies has a new live recording on the way this spring. The band announced Friday it will release Live and Louder on Friday, May 19 in stores and online via Spitfire Music/SPV. The recording culls a number of the band’s shows from its 2016 UK and European tour for its presentation and will be released in a variety of platforms. Those platforms include CD/DVD combo pack, 2 LP Gatefold vinyl, Digital download and limited edition box set. 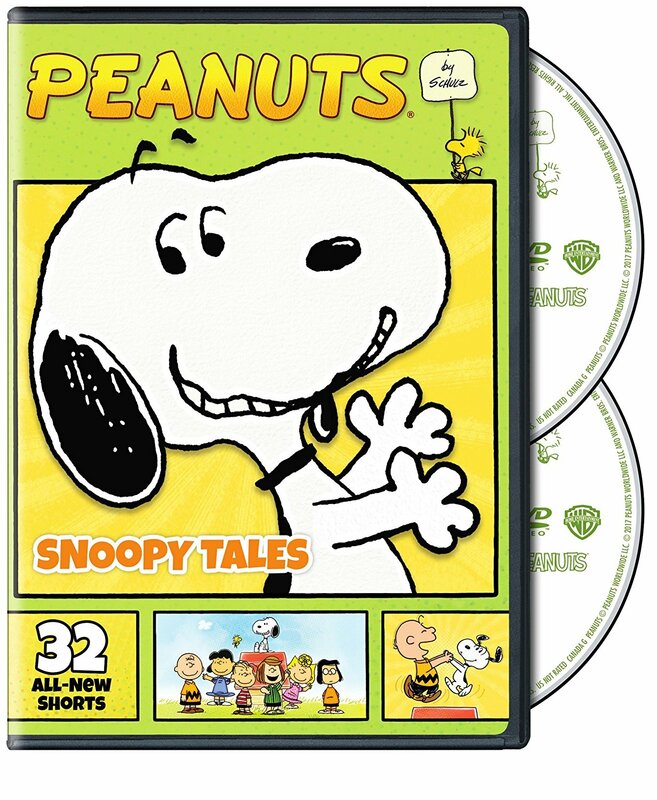 The recording’s CD/DVD platform includes a picture booklet with pictures from the band’s tours, a bonus documentary, all of the videos from Make Some Noise’s singles and picture gallery. The recording’s 2 LP Gatefold vinyl pressing comes in a multi-color 180-gram setting, 4-page booklet and bonus CD pressing of the recording. The limited edition box set contains the recording’s CD/DVD combo pack and 2 LP pressing, exclusive 7” colored vinyl single, poster, sticker, button, patch and photocard. Audiences can check out a trailer for the recording online now here. This time next week, Blacktop Mojo and its fans will be only a week away from the release of the band’s latest full-length studio recording Burn The Ships. For those unfamiliar with the Palestine, TX-based band, it is a good fit for anyone that is a fan of Alter Bridge, Black Stone Cherry, Theory of a Deadman, Zakk Wylde and all of his various projects. From start to finish, this record is set to *ahem* burn up the mainstream rock radio realm with its infectious, guitar-driven arrangements and equally interesting lyrical content. The record’s hard rocking second song ‘End Of Days’ is just one of the songs included in this record that supports that statement. It will be discussed shortly. The much more reserved, yet heavy in its own right ‘Prodigal’ supports that statement in its own right. The band’s own take on Aerosmith’s timeless classic ‘Dream On’ even serves to support that statement, too. Between these songs and the album’s other ten songs, the whole of this record shows Blacktop Mojo to have great potential. They show in whole that given the right support from mainstream rock radio, Blacktop Mojo could be one of the realm’s next big names. They also show this album to be one of the year’s top new hard rock records as well as one of the year’s top new independent albums. 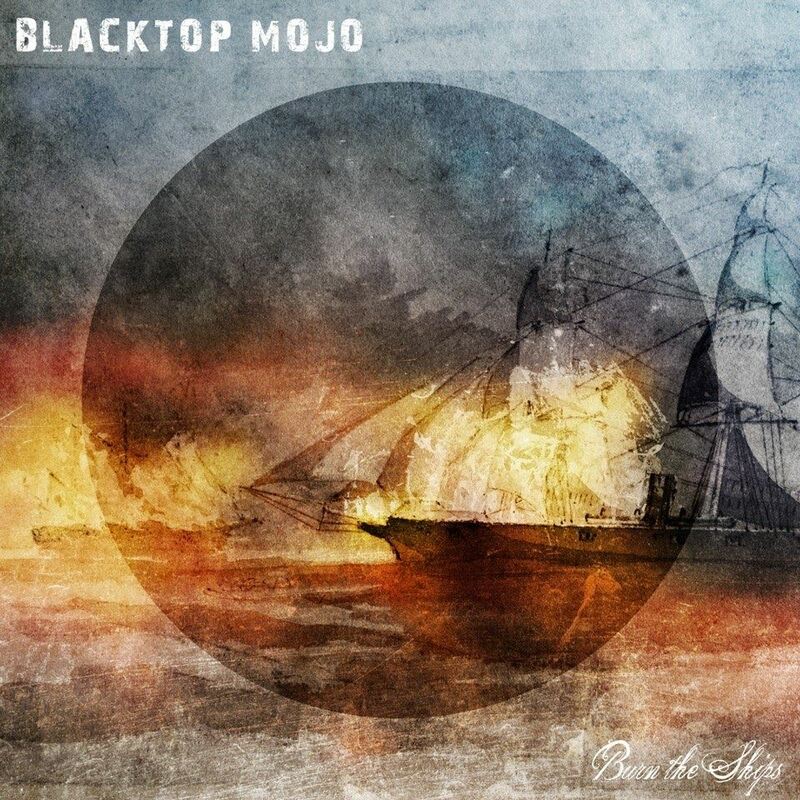 Blacktop Mojo’s new album Burn The Ships, its sophomore release, is one of this critic’s choices for the year’s top new hard rock records and new independent albums. That is thanks to its mainstream accessibility, even being an independent act. Independent here, should be clarified, to mean not signed to a major label. It does not necessarily mean independent in the unsigned sense. From start to finish, it proves to be an album that is primed to “burn” up the mainstream radio realm. ‘End of Days,’ the record’s second song is a strong example of what makes this album such a “hot” (yes, that awful pun was intended, too) new effort from Blacktop Mojo. That is due in part to the song’s arrangement. The hard-hitting, guitar-driven composition instantly conjures thoughts of Theory of a Deadman’s heavier works. That is only one part of what makes the song so interesting. The song’s lyrical content is just as important to note here as the song’s musical arrangement. Front man Matt James sings in the song’s lead verse, “Has it all been an empty gesture/Has it all been a waste of time/World’s spinning into certain disaster/We never figured out the meaning of life/Don’t wait/To say/What’s on your mind/Don’t take/It with you/Leave it behind.” He goes on to sing in the song’s chorus, “There’s a fire in the sky/There’s chaos in the air tonight/Stay with me…sit back and watch the end of days.” Taking this all into consideration, one can’t help but interpret the song, lyrically, as a statement of the world’s current state of affairs. The song’s second verse proves that just as much as James clearly sings about the events of September 11, 2011. It should be noted here, too, that his statements in the second verse are not meant to do anything but add to the statement of the direction this world—not just America—is taking. When such content is set against the driving energy in the song’s musical arrangement, the pairing of the two elements makes this song stand out clearly among BTS’ other songs. They join to prove the song to be a clear example of what makes this record such a worthwhile new effort from Blacktop Mojo. It is just one of the songs included in this record that exhibits what makes the record so impressive overall. ‘Prodigal’ serves just as much to show what makes BTS stand out in this year’s field of new rock and hard rock records. ‘End of Days’ is a clear example of what makes Blacktop Mojo’s new record Burn The Ships an impressive new effort. That is due to the combination of the song’s driving, guitar-centered musical arrangement and its thought-provoking lyrical theme. The combination of the two elements makes it just one example of what makes the song (and album) stand out. It is just one of the songs that so clearly shows where this record gets its *ahem* fire (yes, that awful pun was intended, too). ‘Prodigal,’ with its far more reserved, yet still heavy arrangement and lyrical theme, stands on its own merits. The song is a deeply contemplative work that harkens back to similar works from both Theory of a Deadman and Black Stone Cherry. This is especially true in examining the song’s musical arrangement. The song’s lyrical theme seems, at least to this critic, as a coming-of-age story of sorts. That interpretation was made through James singing in the song’s lead verse, “Don’t call me/The prodigal son/Cause I ain’t comin’ back/I’ll make it/On my own/Let me walk my own path/And don’t worry/About me/I’ve got everything I need/I’m gonna see the world/through my own eyes/Climb the mountain, see the sky/Across the stars on the other side.” He goes on to sing in the song’s chorus, “One of these days I won’t be around/I’ll rip my roots up from the ground/With wings of feathers…I’ll fly toward the sun/’Till they melt from my back.” James continues on in similar fashion in the song’s second half, singing from the vantage point of a figure striking out on his or her own. It is not one of those standard “oh woe is me” sort of songs, either. But the mixed emotion of a person wanting and needing to grow and be one’s own person is there. It is especially illustrated through the song’s musical arrangement. When that emotionally powerful arrangement is coupled with the song’s deeply moving lyrical theme, the two elements together make this song heavy without being heavy. That heavy without heavy presentation makes the song stand out from its counterparts just as much as ‘End of Days.’ It also serves to show even more why this record stands out in this year’s field of new rock and hard rock entries. It shows the band’s ability to entertain audiences while not just sticking to one style of song. It is just one more song that shows the band’s breadth of talent and influences. The band’s take on Aerosmith’s timeless classic ‘Dream One’ is one more of the album’s inclusions that shows what makes this record stand out. ‘End of Days’ and ‘Prodigal’ are both prime examples of what makes Blacktop Mojo’s new record Burn The Ships stand out as one of this year’s top new hard rock records and one of its best new independent albums. They show the band’s range in terms of its talent and influence—one song is heavy both musically and lyrically while the other is heavy musically without being heavy, and is also heavy lyrically. While both songs show in their own ways what makes this album stand out, they are only two out of so many songs that show how much the band and album have to offer. The band’s cover of Aerosmith’s timeless classic ‘Dream One’ is just one more of the songs included in this record that serves to show how much the band and album offer listeners. The arrangement presented by the band here is one of the most powerful renditions that any band has presented to date. It boasts the same moving vibe evident in the original rock ballad, but also infuses its own hard rock edge into the song here to add even more to the song’s impact. That harder edge even gives the song’s lyrical theme its own new identity. That in turn makes the song all the more powerful of a composition, showing once more just how much this new record from Blacktop Mojo has to offer audiences. Between this cover of a true classic, the other songs noted here and the album’s other 10 tracks, this album in whole proves to be one that hard rock fans everywhere should hear at least once. In doing do, those fans will agree that this record is indeed set to “burn” up the mainstream rock radio realm given the right support. They will also agree that this record is an easy pick for one of this year’s top new hard rock records as well as one of the year’s top new independent recordings. The Graboids are coming back again! Universal 1440 Entertainment has announced the franchise’s sixth (yes, sixth) installment is currently in production in Capetown, South Africa. This time out creature hunter Burt and his son Travis—Michael Gross (Family Ties, Anger Management, Dan Vs.) and Jamie Kennedy (Malibu’s Most Wanted, Three Kings, Son of the Mask)—are at a remote research station in Canada when they come under attack by the mutant man-eating worms once again. The worms aren’t just the normal mutant man-eating worms in this movie either. It turns out they might be weaponized worms. Things get even more difficult when Burt is attacked by a Graboid and needs an antidote. The only way to get the antidote is to milk one of the Graboids. There’s just one problem—no one knows how to milk a graboid. Glenn Ross, Universal 1440 Entertainment General Manager and Executive Vice President, said this installment of the long-running franchise is the series’ best yet. Don Michael Paul (Sniper: Legacy) returns once again to helm the movie after helming the franchise’s fifth offering. Mike Elliot (Kindergarten Cop 2, Halloween II) serves as producer. Hein de Vos (District 9, Dominion, Homeland) is the movie’s director of photography. New to the franchise this time are Tanya van Graan (Zulu, Starship Troopers 3: Marauder, Death Race 2 & 3) and Rob van Vuuren (Mandela: Long Walk To Freedom, Shark Attack 2, Footskating 101: The Movie) and Greg Kriek (Momentum, The Race, Infidel).